A role is a permission granted to the user group to access services such as patch management or Service Credits. Roles are assigned in the final step of the process of creating a device group or a contract and warranty share (referred to as a "share" below). A device group or share can have many user groups associated with it. A user group can be associated with many device groups and shares. The roles enabled for each association are distinct. However, for some roles such as Software updates or Patch, as long as the role is enabled for you from one device group or share, you have access to that service. Note: After adding new users to an existing user group, you may need to run the contracts and warranties update in order for the new users to obtain the privileges associated with the user group. See Run contract and warranty update for details. If you want to assign different roles to different groups of users, use a separate user group for each role. Role names and descriptions are grayed out if there is no contract or warranty associated with the device group or share that enables them. You can still check a role that is grayed out. This allows you to set the user group up with the roles it needs ahead of time. Adding a contract or warranty at a later time that covers the role will activate a grayed-out role that you have checked. Device group administrator and member See Device group administrator and member actions for details. Service Credits administrator* Can redeem credits for services, schedule, reschedule, cancel services, receive notifications of scheduled or expiring credits. Service Credits member* Can view: Service Credits, HPE Services exchanged for those credits, HPE services available for exchange of those credits. Patch management* Can access the patch management page, and patches for operating systems. Diagnostic passwords* Get passwords for HPE support tools for certain products. 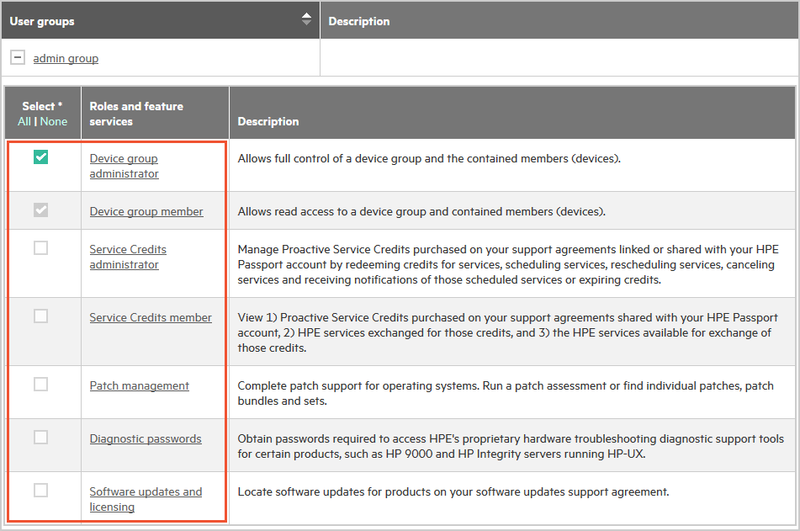 Software updates and licensing* Populates the list of SAIDs in the drop-down list at the initial page of the Software updates and licensing site (following the link on the HPE Support Center Product Support page). * If a share, enabled directly by a contract in the share. If a device group, enabled indirectly by a contract associated with a device in the device group. If you assign a new or existing user group to the device group or share you are creating, the roles you assign to the user group apply equally to every user in the user group. You are assigning roles to the group as a whole--it does not matter whether any given user is an administrator or a member of the user group itself. 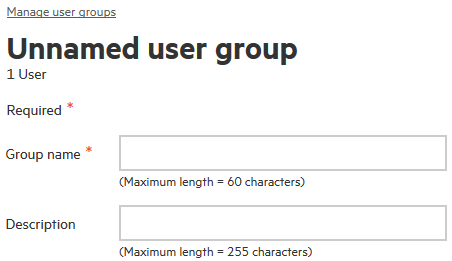 In the table below for example, two user groups are created for a device group. One of the user groups is assigned the role of device group administrator and the other the role of device group member. If you want everyone in the user group to have administrator role for the device group or share, you only need one user group. Assigning device group administrator and share administrator roles does not enable other roles. When you register devices remotely you assign your HPE Passport ID to those devices. When you sign in to Insight Online with that same ID, those devices appear in the main devices view in your Insight Online My IT Environment tab. These devices are in your default device group, which is created automatically. See Your default device group for details. See Derived contracts and warranties for details. You are the only user in your default user group, and you cannot modify it. If you want other users to access your device groups or shares, create a separate user group. 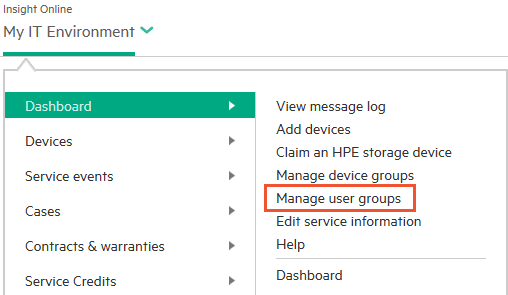 You cannot delete a user group if it is the only user group that is assigned the administrator role for a device group or a share. You cannot delete your own default user group.